GriefShare is a Christ centered support group for people grieving the loss of a loved one through death. 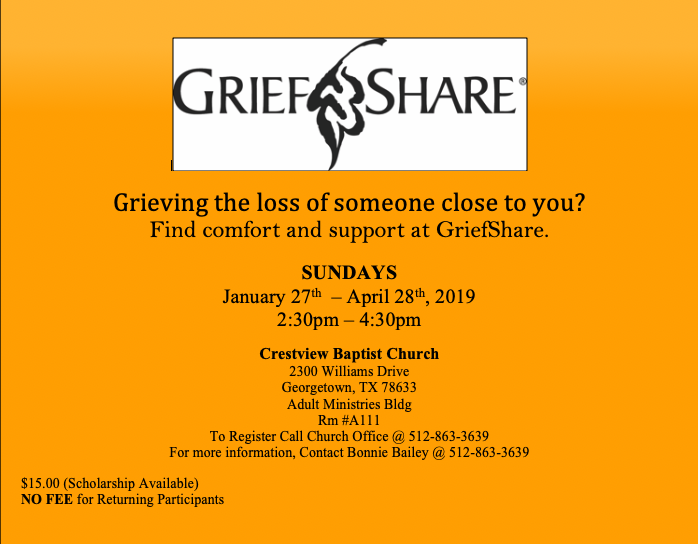 GriefShare is a 13 week session that meets weekly. Each session includes 3 elements: Video seminar, Group discussion and Personal workbook. All are welcome to attend.